Mortgage Capital Trading, Inc. (MCT), a leading mortgage hedge advisory and secondary marketing software firm, announced that the San Diego Business Journal (SDBJ) named its employee Natalie Arshakian to the 2018 'Next Top Business Leaders Under 40' list. The award program recognizes dynamic, young business leaders and role models who have significantly contributed to San Diego's business climate and the community. 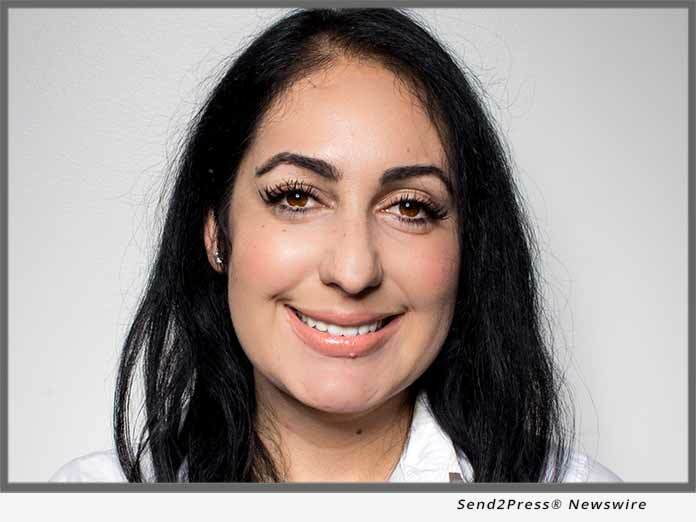 (SAN DIEGO, Calif.) -- NEWS: Mortgage Capital Trading, Inc. (MCT), a leading mortgage hedge advisory and secondary marketing software firm, announced that the San Diego Business Journal (SDBJ) named its employee Natalie Arshakian to the 2018 'Next Top Business Leaders Under 40' list. The award program recognizes dynamic, young business leaders and role models who have significantly contributed to San Diego's business climate and the community. Arshakian was promoted to her current role as Director of Lock Desk Operations at MCT in 2016, where she manages a team of 30 analysts to accommodate monthly lock volume upwards of $2 billion in residential mortgages distributed among 51 national clients. Natalie first joined MCT` in 2012, being promoted multiple times from Analyst Trainee to Analyst, Senior Analyst, Supervisor, Manager, and now Division Director --- within just five and half years. She is well-versed in secondary marketing software, loan origination systems, product and pricing engines, and other third party applications. Notable is that the Lock Desk Division that Natalie operates has become the mortgage industry's largest outsourced lock desk service offering. "I am honored to be named to this revered list and held in the same company with other San Diego-based businesspeople who are making a difference in their communities and at their organizations," stated Arshakian. "MCT has afforded me many unique opportunities to grow my skill sets and advance my career, and I am proud to be a part of the outstanding team supporting me to help expand the company and provide excellence in service to our clients." Prior to MCT, Natalie worked as an Operations Supervisor of the Alternative Investments Division LPL Financial, the largest independent broker-dealer in the United States. She holds a bachelor's degree in political science from the University of California Los Angeles and speaks two languages. "Natalie is a key member of our management team and our Lock Desk Division would not be the dominant player in the mortgage industry without her contributions," stated Chris Anderson, Chief Administrative Officer at MCT. "Put simply, she is one of those rare people that you can task with a project and know that it will be fully completed and done with excellence --- every time. We are grateful to have her on our team and proud that she has been recognized by SDBJ with this prestigious award." The winners were honored by SDBJ and the San Diego business community at a ceremony held on Tuesday, August 14, 2018 at the Westin San Diego Gaslamp Quarter. A complete list of the winners and their backgrounds can be found at http://www.sdbj.com/next40finalists. MCT supports independent mortgage bankers, depositories, credit unions, warehouse lenders, and correspondent investors of all sizes. Headquartered in San Diego, California, MCT also has offices in Philadelphia, Santa Rosa, Los Angeles and Dallas. MCT is well known for its team of capital markets experts and senior traders who continue to provide the boutique-style hands-on engagement clients love. For more information, visit https://mct-trading.com/ or call (619) 543-5111.